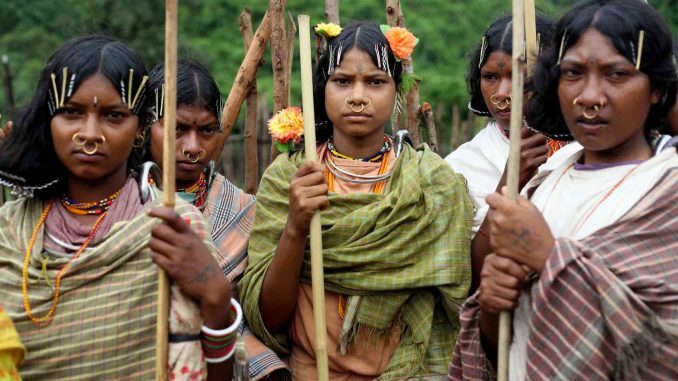 Growing up in the late 1980s at the base of the Niyamgiri hill range, home to the animist, scheduled Dongria Kondh tribe, Dashrath Majhi was familiar with hunger. His family would eat millets as a staple and, during frequent shortfalls, his mother would feed the children powdered mango seeds and bamboo “rice”, which are really seeds collected from the flowering bamboo grass. Today, Majhi, 45, has been working at an alumina refinery for longer than a decade, where he supervises construction works and takes home a salary more than four times the Rs 220 daily minimum wage for semi-skilled workers in Odisha. Majhi’s four children are growing up on a wholesome diet of millets, rice, wheat, corn, gram and green vegetables. Unlike the precarious food situation his mother faced, Majhi’s wife stores a year’s supply of grain. Majhi’s life has improved, like the lives of millions of his fellow citizens, thanks to robust economic growth–the Indian economy grew at 6.2% in the decade following liberalisation reforms in the early 1990s. Growth has powered substantial decline in poverty and its twin, hunger. Yet, while India has succeeded in reducing abject poverty, its hunger situation remains dire. The just-released 2017 Global Hunger Index of the International Food Policy Research Institute (IFPRI) terms India’s condition “serious”, as IndiaSpend reported on October 12, 2017–an improvement from “extremely alarming” in 1990 but not enough to meet the MDG of halving the number of people facing hunger. India has slid three places from the 2014 list and is one of four countries with a fifth of its children suffering from wasting. As India readies to reach the new and more ambitious Sustainable Development Goals, experts say the ongoing slowdown in economic growth could increase the need for government programmes to alleviate poverty and hunger, especially in rural areas, and is an opportunity for policymakers to invest public spending in capacity-building and health to make benefits sustainable. India’s average annual growth rate accelerated from 6.2% in the decade ending in 2003 to 8.3% between 2004 and 2011. The annual pace of decline in poverty during this time trebled. This has lifted millions of people like Majhi out of poverty. “I feel like crying when I think of how we used to live,” Majhi told IndiaSpend. The Multidimensional Poverty Index (MPI) score is an international measure of acute poverty conceptualised by the Oxford Poverty and Human Development Initiative and the United Nations Development Programme. It classifies as ‘poor’ someone facing deprivation in three or more of 10 indicators, namely: years of schooling; school attendance; child mortality (in the family); nutrition status; asset ownership; access to electricity; improved sanitation; drinking water; flooring; and cooking fuel. Living in a kutcha house, Majhi’s family were deprived in nearly all of these areas. He studied up to grade X but his two sisters dropped out after grade III. His parents worked on others’ farms to supplement the income from their one-acre piece of land. Today, Majhi’s children study in an English-medium school. He owns seven acres of land but his agricultural income is secondary to his earnings from his job and his wife’s income from tailoring. Majhi’s pukka house has an electricity connection, a toilet and piped water supply. Cooking over a wood fire is a thing of the past; his wife uses cooking fuel. Majhi owns a mobile phone, a television, a refrigerator and even a four-wheeler that he rents out. As a district, Kalahandi has made improvements on social and health indicators. Between 2001 and 2011, literacy rose from 45.94% to 60.22% and the infant mortality rate per 1,000 live births fell from 76 to 59. The maternal mortality ratio per 100,000 live births fell from 358 in 2005 to 311 in 2011. Yet, these changes left Kalahandi lagging behind the rest of the country, which made more impressive gains. Today, Kalahandi’s infant mortality rate is close to one-and-a-half times the all-India rate of 39, and the maternal mortality rate nearly double the all-India rate of 167, which dipped below the global average of 179 in 2016, as IndiaSpend reported in September 2017. The all-India literacy figure stands at 74.04%, well above Kalahandi’s. Even stories such as Majhi’s are rare–essentially, he has made windfall gains from a local alumina refinery buying his land and giving him a job. The benefits of economic growth have not spread very wide, and development has largely eluded Kalahandi district. Kalahandi was ranked 548 of 599 on the 2015 District Development and Diversity Index of the US-India Policy Institute and the Centre for Research and Debates in Development Policy. Continuing poverty and hunger earned Kalahandi the title of ‘India’s starvation capital’ in the 2007 book Starvation and India’s Democracy by Dan Banik, an associate professor at the Centre for Development and the Environment, University of Oslo, Norway. The situation is similar in the 271 other backward districts eligible for the Backward Region Grant Fund. In 2014, India was ranked among the 20 countries with the greatest inequality, as per the MPI. As a result, 343.5 million Indians, more than a quarter (28.5%) of the population, remain destitute, as deprived as Majhi’s family were three decades ago. The United Nations’ Sustainable Development Goals (SDGs) on poverty and hunger are more ambitious than the MDGs, and will require commensurate policy action. The poverty goal is to ensure no one lives on less than $1.25 (Rs 81) a day by 2030, and the hunger goal to ensure everyone has year-round access to safe, nutritious and sufficient food. One in five Indians currently lives below the $1.25 a day poverty line, and 836 million Indians still live in extreme poverty. To achieve the SDGs on poverty and hunger, economic growth and redistributive policies must go hand in hand. In an ideal world, consumption would be equitable across socioeconomic classes, such that India’s poorest quintile (20% population) would account for 20% of the total national monthly consumption. But India’s urban poor today consume 7.1%, down from 8% in the early 1990s. In rural India, consumption by the poorest 20% has remained below 10%. As long as people are poor, they have limited “access to diet, access and use of health services, housing conditions, sanitation and other such things, which in turn affect nutritional status”, Purnima Menon, senior research fellow at IFPRI, told IndiaSpend. In India, undernutrition is the most common indicator of poverty, a fact government data acknowledge. In nine high-focus states, 63 of the 100 districts with the highest prevalence of undernutrition among children younger than five years were classified as ‘backward’ and made eligible for the Backward Region Grant Fund. This positive correlation between hunger and poverty is evident from data from districts with the highest prevalence of undernutrition among 5- to 18-year-olds as well as from districts with the most underweight 18- to 59-year-olds. (Undernutrition is a measure used for children and low body weight or body mass index for adults). India had the highest prevalence of moderately and severely underweight under-19s in 1975, an unenviable position it has held onto through to 2016, according to a new Lancet study. In 2016, 22.7% girls and 30.7% boys in India were moderately or severely underweight, 97 million children and adolescents in all. India’s Multidimensional Poverty Index score also reflects widespread dietary deprivation, with 30.9% weightage assigned to undernutrition, as against 2% to drinking water deprivation. Links have been established between early malnutrition and low income as well as between anaemia and low productivity, Menon said. Stunting, an outcome of poor nutrition in which a child is shorter for his or her age, has been found to adversely impact school performance, and adults who face stunting as children earn 22% less than their peers. As long as people remain confined within a cycle of poor nutrition and low earnings, India cannot remove poverty. To make up for the lack of equitable, diversified growth and job creation, India has relied on welfare programmes. The most famous of these is the livelihood security programme under the Mahatma Gandhi National Rural Employment Guarantee Act (MGNREGA). Launched in 2006, the programme is designed to provide each rural household with 100 days of assured unskilled manual work during the non-peak agricultural season each year. In 2011, a comparative national study of 26,000 rural households on income, employment and household wellbeing found that MGNREGA had prevented 14 million people from falling into poverty that year, and reduced the number of people below the poverty line by between 25% and 32%. Yet, MGNREGA has its shortcomings. While “we have no doubt that MGNREGA increased the consumption of goods and services among those who participated, the challenge is weak governance”, Prem Vashishtha, senior consultant at the National Council of Applied Economic Research (NCAER) and co-author of the study which was undertaken in collaboration with the University of Maryland, USA, told IndiaSpend. He said gram sabhas (village councils) have been unable to formulate effective programmes or enrol genuinely needy people. In Kalahandi, for instance, three of four households that demanded work through MGNREGA did not get it, as per a 2016 report by IFPRI initiative Partnerships and Opportunities to Strengthen and Harmonize Actions for Nutrition in India. With continuing distress in the farm sector and non-agriculture growth in rural India slowing down, Vashishtha said the rural demand for assured work could only be expected to have grown, and MGNREGA has become even more important. As growth falters–the second quarter of the current fiscal recorded 5.7% growth, a three-year low, down from 6.1% in the preceding quarter–Vashishtha warned that “India could lose steam in its march to end poverty and hunger,” and emphasised the need to improve the outcome of MGNREGA spending. Outcomes can be improved through capacity enhancement and transparency at the local government level, and by targeting MGNREGA works towards creating productivity and income-enhancing community assets or, in special cases, assets on participants’ lands, he said. Data show that richer states have outperformed poorer backward states in caring for children, and states with the strongest growth have lower fertility rates as well as maternal mortality rates. This suggests that gender parity could be a game-changer in the fight against poverty and hunger–an area ripe for capacity building.